The complete closure of Boracay island in the Philippines – to restore the island’s overused, damaged environment and infrastructure – will be ending soon. 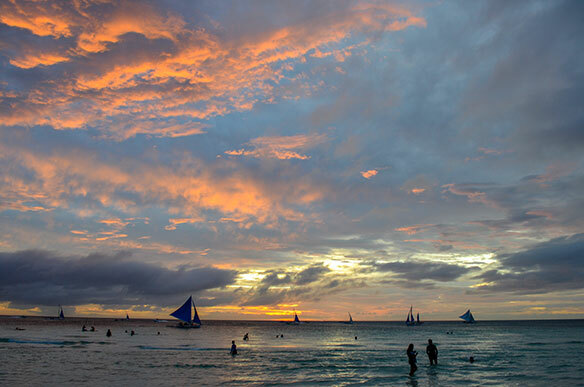 Boracay entered a period of closure to tourism in April of this year, for a period of six months, as specified by the government of Rodrigo Duterte. It was shut down April 26 in order to execute a massive environmental rehabilitation and rebuild of its overloaded waste management infrastructure. However, information from the Philippine Daily Inquirer indicates that this will amount to a “soft” opening, in that not all of the infrastructure will be repaired. “October is only a soft opening… how can you rehabilitate an island under a state of calamity in only six months?” said Bernadette Romulo-Puyat, secretary of the department of tourism, in an interview with the paper. “We are managing expectations. It will be open, but don’t expect all the roads to be completed.” Five thousand hotel rooms will be ready by Oct. 26, said the tourism secretary. But the complete rehabilitation of Boracay is not expected to finish until the end of 2019, she said. “Categorically, I am saying that Boracay is no longer a cesspool,” stated Philippines environment secretary Roy Cimatu, who also confirmed the Oct. 26 opening date. He said a dry run of the opening would be conducted Oct. 16-25 for local tourists. Based on the numbers, Boracay is the top holiday destination in the Philippines, attracting about two million domestic and foreign visitors per year. They come for the island’s perfect white-sand beaches, warm waters and energetic nightlife scene. But Boracay’s natural beauty has led to extensive overcrowding and overuse of its resources, compounded by an overloaded garbage and waste treatment infrastructure. The beachfront itself is pristine, but uncollected garbage was evident just a few hundred metres inland from the waterfront, and the waste disposal systems were failing. Aside from the destruction of mangroves, sewage contamination was pinpointed as one of the main causes of damage to Boracay’s environment, said the environment department. In mid-February, Philippines president Rodrigo Duterte ordered an urgent cleanup of Boracay, calling it a “sewer pool.” He threatened to close the island to ensure compliance with the order, and then did so.